There’s a series of collage pictures that hang in the carpeted staircase leading up to the second floor of our house. 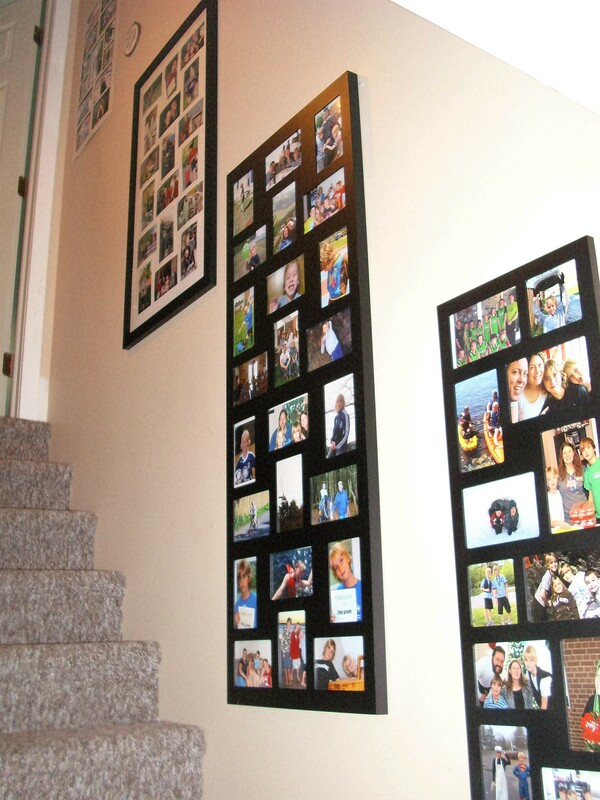 Each frame holds pictures for one year of our family’s life. About 6 hang of them hang in our home so far. For a while there were only 5 – one of the frames had gotten knocked off the wall and smashed when our oldest son was moving something upstairs. I wasn’t sure what to do – replace the frame? That would mean searching for something that would hold the exact amount of photos I had in the frame, and in exactly the same order. Do I try to make some sort of a new frame that would hold the miraculously-unbroken glass front? Do I find a completely different collage frame that might prevent me from including the already-carefully-chosen pictures from that year of our lives? None of those options worked for me. And especially with two wonderfully rambunctious and full of life young men in my home. Things will get broken – it’s a wonder more hasn’t been broken through the years. These young men of mine have actually done quite well in containing their rambunctious-ness and vitality to certain areas of the house or the outdoors. Do I want a perfect, pristine home? Just tidy once in a while. And well-organized and free of a lot of clutter. But mostly that’s my job to keep it that way. Their job is to simply live here, truly live here, in the moments, whatever they bring. To laugh, love, learn, grow, respect, relax, and LIVE. So I hung the collage back on its spot on the staircase wall – with sticky tack on the back. The matting was still fine. If I choose to see it that way. Previous Official Launch Date is July 12! It’s all about choice isn’t it Anna? The amazing gift from our God, ‘choice’. I so enjoy all of your blogs.